Tag Archive | "College planning"
When it comes to moving at the end of a spring semester, whether it be out of a dorm, back home for the summer, or into a shared space with roommates for a few months, you can rest assured that it’s going to be one of the less enjoyable tasks you have to take on as the events of the semester draw to a temporary close. Luckily, there are a variety of ways to hit the ground running when it comes to moving as a student, many without even breaking the bank if you take the right approach. A critical factor in moving successfully on a tight budget will be to plan ahead as soon as you can—read ahead for a rundown of tips on everything from packing wisely to planning out your itinerary. The first thing you will want to do when planning a move is to assess a rundown of the essential supplies and preparations you’ll need. For starters, you’ll want to properly assess the total amount of goods you’ll be moving—this will determine everything from the amount of boxes and packing supplies you’ll need, to the type of moving services and equipment your move will require. Many moving sites offer packing calculators and similar tools to help you get an approximate idea of what to expect. The size of your moving truck, fleet, etc. could vary based on how much you have, so you’ll want to know as soon as possible whether or not a moving company’s entry level truck works for you. College movers will often opt for a do it yourself moving approach with the hope of saving money—whether or not this is a good idea will largely come down to the size and distance of your move, so take the time to do some careful research beforehand. A key factor in budgeting your move will be to save money whenever you can. This won’t come naturally, so it might take some practice to strive for discounted or free supplies where applicable. Don’t underestimate the amount you can save by scoring free cardboard boxes—many department stores, warehouses, or similar places tend to throw out cardboard boxes in droves, and will be happy to part ways with huge numbers of them in exchange for you lugging them yourself. Buying boxes from your moving company might not break your bank, but you’ll appreciate the savings a lot more after it’s all said and done. Along similar lines, recruiting help from any available friends and family can be a highly effective way to save on extra costs along the way, whether it be an extra hand helping you haul your goods, or an additional friend to make your road trip home into a buddy system effort—this can end up being the critical factor in a situation where you would otherwise have to pay for a full service moving package, special transportation interests, or more –having just a few extra friends on board to help you along the way can save you a surprising amount of money, in addition to saving you a great deal of stress and worry. Brian Wilson is a contributing writer and media specialist for the North American Moving Blog. He regularly produces content for a variety of lifestyle and home blogs, based around the transitional challenges which comes with migrating, settling into new homes, and more. Do You Need a Criminal Justice Degree to Become a Police Officer? If you want a career as a police officer, you might be wondering whether college is worth it. You can try to get an entry-level job without a degree, but you find yourself getting passed over for promotions later if you don’t complete your education now. Earning your criminal justice degree gives you a lifelong competitive advantage, so the short-term costs are worth the reward. Age. Police officer candidates must be at least 21 years of age. Citizenship. Candidates must be U.S. citizens, and they must have driver’s licenses. Physical preparedness. Most police departments require job candidates to pass vision and health screenings. They also require police officer candidates to meet certain requirements for strength and agility. Education. A police officer must have at least a high school diploma or GED. However, police academies are increasingly requiring officers to have some college coursework, a bachelor’s degree or an MS in Criminal/Social Justice (to learn the variety of fields you can work in with a degree, visit this page). Character tests. A criminal conviction, such as a felony, can keep some people from becoming police officers. Candidates often have to pass drug tests and lie detector tests throughout their training. Private investigator. After working as a police officer for a few years, you might decide to become a private investigator. According to the U.S. Bureau of Labor Statistics, demand for private investigators will grow a whopping 21 percent over the next decade, and PIs can expect an average annual salary of $50,780. Probation officer. Probation officer demand is expected to grow 18 percent over the next decade, and a probation officer, on average, makes $52,380 each year. Crime scene investigator. If you’ve ever watched CSI and thought, “I could do that,” then a criminal justice degree can lead to a job as a crime scene investigator. Demand for crime scene investigators should grow 19 percent over the next decade, and if you choose this job, you can expect to make about $55,730 each year. Paralegal or legal assistant. Lawyer job openings are growing no faster than average, but experts expect paralegal job openings to grow at an astonishing 18 percent over the next decade. Paralegals require less training than attorneys, and they can expect to make about $50,220 per year. Retail loss prevention specialist. Combining your experience as a police officer and your criminal justice degree could allow you to transition to the private sector and work in retail loss prevention. Entry level positions start out at about $38,520 per year, but since you’d have your degree, you’d have a much better shot at leadership positions with higher salaries. Intelligence analyst. Combine your criminal justice degree with knowledge of a foreign language or other specialized skills, and you could find yourself working in homeland security. Intelligence analysts earn as much as $86,000 per year. If you start as a police officer and branch out into other areas, you can keep your career interesting while sticking with law enforcement for a lifetime. Earning your criminal justice degree gives you options later, which is why it’s a good idea to finish your education before becoming a police officer. If you’re just starting out as an adult and you’re interested in police work, look into schools that offer bachelor’s degrees. Alternatively, if you’ve already spent time in the workforce and you have a bachelor’s degree, apply to programs that offer master’s degrees in criminal justice. You can also learn more about criminal justice degrees and career options with this career guide. Some schools allow you to take classes online, which lets you keep your current job while you train for your new career. If you’ve been dreaming of working in law enforcement, then apply to a good school today. An advanced degree can increase your earning power and help you get ahead in your field by leaps and bounds. But in today’s economy, many full-time workers can’t afford to take time off to earn an advanced degree — even though it might be necessary for their career advancement. It might be challenging to find time to work and get a graduate degree, not to mention family and personal time, but it’s possible. You just need to choose the right program, plan carefully, get your boss and family on board with the plan and make your health a priority throughout the program, so you can maintain the stamina you need to succeed. A big part of succeeding in grad school while working full-time is finding a program that accommodates your work schedule. Online programs are an excellent option for any career path — when you go back to school online for a Masters in Criminal Justice, for example, you can gain the skills you need to advance into an administrative role on your own schedule. You could also consider a part-time program, or a full-time program that’s designed to accommodate the needs of working professionals. You can’t work full-time and earn a graduate degree without letting your boss in on the plan — whether you need to show up in person for classes in a brick-and-mortar setting, or you’re taking your classes entirely online. Talk to your boss about your grad school plans well ahead of time. If you’ve been out of college for a while, chances are you will need a letter of recommendation from your boss, anyway. Make sure your boss knows exactly how your post-graduate studies can add to your value as an employee. The more your organization can benefit from your advanced education, the greater the chances your boss will work with you to accommodate your study needs. 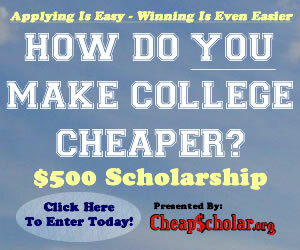 You might even get some company money to help finance your degree. If you want to find time to meet your work and family responsibilities while earning a graduate degree, you will need to plan study and personal time in advance. Even before you start grad school, sit down and work out a schedule to help you complete entrance exams and gather your application materials in time to meet the deadline. Once you’re in school, plan ahead to make sure you have time for important upcoming family obligations, like graduations, holidays and weddings, while still meeting the requirements of your program and your job. On a weekly basis, sit down with your day planner and schedule in time to study, time for your family and friends and time for yourself. When you’re a working adult in grad school, you won’t have time to pull all-nighters every time there’s a big project or test due. Stretch yourself too thin and your stress levels will skyrocket. Your job performance could suffer and you could even make yourself sick. However, you will probably still need to cram for tests and make time for big school projects. By planning ahead, you can use your vacation days to take time off work when you know you’ll need to study for a big test or focus on completing a school project. Just make sure you ask for the days off ahead of time, instead of calling in sick the day before every exam. That way, your boss will remain understanding about your educational responsibilities. Juggling the demands of a full-time work schedule with a full-time school schedule requires a lot of physical stamina. If you don’t make your health a priority, you’ll burn out quickly — and could even succumb to a full-on health crisis. Make sure you get eight to nine hours of sleep a night, eat a healthy diet, get at least 30 minutes of exercise on most days of the week and practice stress-management so you don’t get overwhelmed. You might think that you don’t have time to take care of yourself properly, but in fact, you don’t have time not to. If you neglect your health, you’ll soon find you don’t have it in you to fulfill your other obligations, either. It’s not easy to manage the demands of grad school while working full time, but if can be done. All it takes is some careful planning and the willingness to make your education a priority. Engineers who have grown bored with their jobs and want to explore other career options should consider pursuing a master’s degree. Not only will having a master’s heighten your appeal to prospective employers, the knowledge you gain while earning your degree will expand your professional repertoire. If you’re ready to take your engineering career to the next level, there are a number of options for you to consider. If you’re interested in overseeing the technical aspects of a business, pursue a degree online as a Master of Science of Engineering Management. 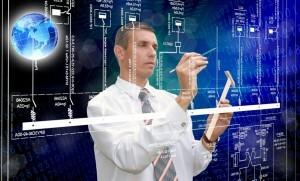 This degree provides engineering students with the necessary skills to organize and control company databases. With a course curriculum comprised of computer science and business management classes, students will essentially be learning two valuable trades. Engineers with this type of degree often head their companies’ engineering departments and make larger salaries than their peers. Additionally, the technical skills you’ll acquire while earning your degree will ensure you’re well-equipped to oversee your department’s technology-based projects. Engineering students with an insatiable interest in science should look into a Master’s in Bioengineering. The exact curriculum varies from school to school, but most bioengineering programs require students to complete a fascinating assortment of courses on cell creation and manipulation. The knowledge you gain from these courses will make you a sought-after job prospect for corporate labs and pharmaceutical companies. Graduates who want to make inroads into curing widespread diseases can pursue careers in public health. According to U.S. News & World Report, biomedical engineering is a rapidly growing field. Between 2008 and 2018, biomedical engineering has a projected growth rate of over 70 percent, making a degree in this field an enticing prospect for engineering students who are itching to join the workforce. With a median salary of $80,000, you won’t find many biomedical engineers with insufficient funds. Furthermore, bioengineers who work in medical equipment design have been known to make upwards of $100,000 annually. The sizable salaries associated with this field make a career in bioengineering a tempting option for engineers looking to support a family. Similar to a Master of Science in Engineering Management degree, this type of degree provides students with business management skills while placing a strong emphasis on technology. Courses on computer science and system management constitute the bulk of a Master of Engineering in Management curriculum. With the ability to manage large groups of workers and a knack for solving technical problems, you can become an essential part of any business lucky enough to land you as a hire. Armed with a Master of engineering in management degree, you’ll have no problem overseeing a company’s technology department. In our increasingly tech-laden society, job applicants who possess management know-how and technological savvy are heavily favored by employers. Earning a Master of Engineering in Management degree will ensure your post-graduation job prospects are strong. Engineers with aspirations of working in product design and distribution will benefit from earning a Master of Engineering in Manufacturing degree. When pursuing this degree, you’ll complete a wide range of courses on marketing and industrial manufacturing. After graduating, you’ll feel right at home in the manufacturing department of any business. As a manufacturing engineer, you will play an integral role in designing both products and packaging. In addition, you’ll help develop ways to make your company’s manufacturing process more efficient. Students with a knack for crunching numbers will enjoy pursuing a Master of Financial Engineering degree. With a curriculum composed largely of advanced math and economics courses, this type of degree gives engineers the skills to thrive in the financial sector. Once you’ve earned your degree, you’ll have a fair number of job prospects. Not only will you be qualified to head a business’s accounting department, you can also seek your fortune on Wall Street and join a successful brokerage firm. Since engineers are natural problem solvers who are always eager to tackle new challenges, many of them will jump at the chance to continue their education. Instead of viewing continued education as a chore, determined engineers are sure to see this opportunity as the precursor to bold new adventures. Getting waitlisted can add confusion to an already stressful applications process. After receiving the news that you have been waitlisted, you may be feeling stressed, nervous, angry, scared, or even confused. There are a few things you should understand about your admission prospects. Firstly, remember that all is not lost; in some cases, there are even some steps you can take to improve your chances of admission. If you want to ease your admission anxiety, below you’ll find everything you need to know about your options after being waitlisted. Chances of Admission: What Does Being Waitlisted Mean for Me? 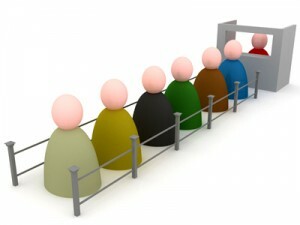 Waiting lists are used as a means for accommodating students who meet requirements for admission, but are surplus for the college’s capacity to facilitate students. Your chance of being admitted off of the wait list varies drastically from school to school. According to the National Association for College Admission Counseling, about one third of students who decide to stay on a waiting list are later admitted. For more competitive programs or for ivy league schools, these margins of acceptance can be razor thin. Recently, Yale waitlisted 996 students, and only went on to accept 103 of them. Schools like Duke will often place thousands on a waitlist, anticipating the admission of only a few dozen. The reason the acceptance rate for waitlisted students at selective schools is so low is because waiting lists act as safety nets for universities—allowing them to have a pool of applicants to choose from in case accepted students decide not to attend. Students selected for competitive, ivy-league programs are more likely to accept an offer of admission, so waitlisted students are more likely to be rejected from these institutions. However, despite those statistics, being waitlisted doesn’t have to signify the end of your college dream; in fact, you have a couple different options at your disposal. The very first thing you should do is figure out the specific deadline for decision at the college in question. Although the date will vary drastically from school to school and program to program, May 1st is a common time for many institutions. The next step is to decide whether you want to remain on the waiting list or not. If you’re seriously considering accepting the offer for admission, remaining on the waiting list is a good idea. There is often a form or response that waitlisted students are required to fill out if they wish to remain on the waiting list; US News urges students who want to remain on the list to fill this out as soon as possible. However, if you’ve decided to accept a different offer, it’s a good idea to get off the waiting list for the benefit of the other applicants. Before you make any big decisions one way or the other, you should call the school and determine if there are any conditions that waitlisted candidates should be aware of. Most commonly, these conditions happen because waitlisted candidates are informed about their admission much later than other applicants, which can reduce the amount of financial aid and housing options available to them. If you decide to remain on the waiting list, you should also prepare to attend a different school, as a precaution. If different institutions have accepted you, select the one that suits your needs best to ensure that you’ll have a place. You may be forced to make a small non-refundable deposit in order to do this, but it’s an important insurance to have if your waiting list program doesn’t turn out. If you were not accepted to other institutions, or did not apply to other institutions, consider looking into colleges with rolling applications, community colleges, or online schools. Determining a sense of your chances of admission involves contacting the admissions office and inquiring about the wait list. How is the wait list organized? Are students placed in a priority list of some kind? Where are you on the list? Is there a long waitlist and a short waitlist? Most schools will gladly inform you of your status if you contact admissions. Establishing a presence for yourself after you’ve been waitlisted is generally a good idea, as long as you don’t become a pest (in other words: do not contact the admissions office to ask why you weren’t accepted). Communicate with admissions, by letter or email, that you still have an active interest in attending the school. Updates and changes to your application are also a good idea to include (this also consists of achievements and shifts in your grades since your application). According to the Princeton Review, you should ask that a letter declaring your interest in the school—and pledging attendance if you are, in fact, accepted—be added to your file. Remember that if a school has placed you on a waitlist, that means they’ve already determined you have all the academic skills necessary to be admitted. You’ll only benefit from adding nonacademic information that could help your case, achievements you didn’t mention in your application, or supplemental data that can help improve your case. Above all else, remember that your application was waitlisted—not declined. If you’re ultimately turned away because the school can only accommodate a limited number of students, know that you’ve already achieved something because most students didn’t get as far as you! Remind yourself that many students are waitlisted every year, and that being waitlisted does not invalidate your many accomplishments or your hard work. Rather than see your being waitlisted as a setback, take this time to refocus on your goals and take pride in the fact that—wherever you’re going to school—you’ll be starting on an exciting new chapter in your life. There is no one path to success, and while your dream school may feel out of reach following a waitlisted status or even a rejection, your dreams certainly aren’t. This article was contributed on behalf of Bay Area Recovery. If you’re stressing out about being waitlisted, remember that drugs and alcohol are not the answer. If you’re battling problems with seeking these whenever you’re stressed, it would be a good idea to consider finding a compassionate drug and alcohol rehabilitation program such as that with Bay Area Recovery. Check out their website today and see how they can help you! 5 Myths About Going to College Part Time – DEBUNKED! Blindly believing the often-negative publicity about attending college part-time isn’t wise. Let’s bust some myths and look at how being a part-time college student may be a better fit for you, both financially and academically, than attending university full-time. Myth 1. Finishing college in four years makes you more employable. Companies prefer, almost to the point of exclusion, applicants age 25 and younger who will spend their entire career at a single firm. Your major is not particularly important. Instead, you need to earn your degree quickly, after which your employer will find the right place for you within the company. Here in the U.S., companies seek applicants who have the right combination of education and experience. If you’re looking to attend graduate school, in fact, real-world experience may be more important than your academic background. Working full-time while you attend school part-time can be the best way to build your network, hone your organization and time management skills, and learn how to be productive as part of a team. Yes, it will take you longer to finish your degree. When you do, however, you’ll have a competitive edge over those who rushed through school without gaining relevant experience. Once you’re hired and using your degree, no one will ever ask you how quickly you graduated. It doesn’t matter. Myth 2. Going to college part-time costs more. When you look at the most basic numbers from one perspective, the statement above may be correct… technically. In reality, though, factoring in student loan interest with an even remotely competitive job market (where securing employment can take time) tilts the equation the other way. Pursuing your education part-time can be a great way to minimize debt and build your career step-by-step, paying as you go in some respects. This can help you avoid the sobering scenario many students face at the end of their degree program: no income and facing imminent payments on a student loan portfolio the size of a mortgage. Myth 3. It’s going to take forever. You’ll give up and drop out. Not if you have a plan. If you choose to go to college part-time, recognize that you need a solid long-term education path as much, if not more, than as full-time students. Write everything out. What classes will you take each semester to achieve your goal of earning your degree? How will you order prerequisites to ensure you progress at the right pace? Since you won’t be burned out from taking a full course load each semester, consider going to school in the summer to help move things along. Also, you can often test out of lower-level courses, which is particularly helpful to fulfill graduation requirements that aren’t part of your major. For example, say you plan to major in biology and you aced English in high school. Many schools will let you test out (or use AP scores to skip) freshman-level English. You get the credit you need without having to waste time rehashing what you already know. Myth 4. You’ll miss out on college life. If you’re a part-time college student, simply swap the time commitments of classes and work. You’ll have to manage full-time work, part-time classes and then make time to participate in the campus organizations or opportunities that interest you most. Myth 5. Your employer won’t give you the flexibility you need for your studies. While some employers may be sticklers when it comes to scheduling around studies, others are more than accommodating. Allowing employees to further their educations often benefits companies, as hiring and retaining individuals with strong education backgrounds contributes to corporate success. Certain positions in certain types of firms are most definitely more conducive to pairing with part-time education. These include employers such as large corporations, the government, or school districts and positions in sales, customer support, or flexible shift work. Speak with your supervisor and Human Resources to see what may be available to you. Ask if your company has policies in place covering employee education; with proper planning, you will be surprised how realistic it can be to blend school and professional responsibilities. Some employers will even help you pay for school with employees-only scholarships or debt-forgiveness programs! Ultimately, there are many benefits to part-time college. Don’t simply believe the myths or hype; instead, examine facts and choose the path that is best for you! Today’s guest article comes from Ryan Hickey. He is the Managing Editor of Peterson’s & EssayEdge and is an expert in many aspects of college, graduate, and professional admissions. A graduate of Yale University, Ryan has worked in various admissions capacities for nearly a decade, including writing test-prep material for the SAT, AP exams, and TOEFL, editing essays and personal statements, and consulting directly with applicants. For many people, going from high school to college is a simple transition: these students effortlessly convert from senior to freshman, with a summer break in between. But for those of you who didn’t pursue higher education directly out of high school, the decision to return to school can seem a bit bumpier; it can also involve a lot more excuses. Unfortunately, these excuses can come back to bite you. Not going to college—no matter the reason—can hit you in one of the places where it hurts the most: your pocketbook. Perhaps one of the most common excuses for not going to college is the financial aspect. You may say you flat out can’t afford it. However, in truth, many people can’t afford not to go. This is because bachelor’s degree holders earn significantly more, on average, than those with just a high school diploma. Per the Huffington Post, a 2011 study found that people with a bachelor’s degree made 84 percent more over their lifetime than high school graduates. This is a trend that seems to be moving upward: in 1999, people with a bachelor’s degree made only 75 percent more than high school graduates. Other sources confirm this. According to Forbes, a 2012 study by the Pew Research Center found that college graduates earn an average of $650,000 more in their lifetime than their peers who only graduated high school. Certain degrees—such as engineering or computer science—earn much, much more. Scholarships, employee reimbursement programs, and loans are always available (especially if the loans are federal loans) for those who believe they can’t afford college tuition. While it’s very reasonable to take financial considerations into account when deciding whether or not to go back to college, it would be unwise to not consider the vast array of financial aid options at your disposal. You might be too old to live in a dorm room or attend nightly keg parties, but when it comes to learning you are never too old. Colleges are filled with people who are all ages, sometimes even those of retirement age: as reported by the Huffington Post, a Connecticut university recently awarded a bachelor’s degree to a 63 year old woman. After being laid off at the age of 59, she decided to go back to school and reinvent her life: she obtained a degree in 2011. While you may worry your age will make you an outsider, recent studies show that the majority of students enrolled in universities can be classified as “non-traditional” students. According to a study published in the Association of American Colleges and Universities, over 38 percent of new enrolling students for the class of 2007 were over the age of 25 (a number that is expected to remain stable or increase by 2018). Meanwhile, over 4 million people enrolled in a degree program are over the age of 35. In addition, Education Department data published in the Wall Street Journal shows that nearly two-thirds of students enrolled in college in 2013 can be classified as “non-traditional” (based on categories like age, employment, dependent status, etc.). The term “better late than never” is perhaps most fitting when it comes to education. No matter how long it has been since high school, the benefits—salary hikes, career advancement, job opportunities—will still exist. Deciding to go back to school can also have a positive influence on your image: employers look favorably upon people who show such great levels of dedication. In the 1990’s and prior, a person’s path to a degree involved attending classes that met at specific times in specific places. However, with the advent of the internet, online classes have turned college into something everyone has time to do. These classes allow you flexibility, convenience, and the ability to learn from the comfort of your own home: a college degree is literally available at a computer screen near you. People who begin college when they are eighteen are just that: eighteen. In other words, they are kids often unsure of what they want to do. According to NBC News, eighty percent of college bound eighteen year olds have a major that is undecided. And, even once a major is declared, it doesn’t always stick: fifty percent of students change their majors with many changing them two or three times. This can lead to a waste of resources, money, and time. As an older adult, on the other hand, you have work experience, life experience, and perspective under your belt. This gives you the unique ability to cater your education to your desires. Going back to school is an important decision, and one that is not meant to be taken lightly. However, you shouldn’t let yourself miss out on your chance to advance your career and change your life by falling back on any of these excuses. Chad Fisher knows how important a college degree can be when it comes to landing your dream career. In light of developing technology, today there are a number of new and exciting majors and careers for older and returning students to choose from. CyberSecurityU.org offers plenty of information about new jobs in fields like cyber security, software development, and more. 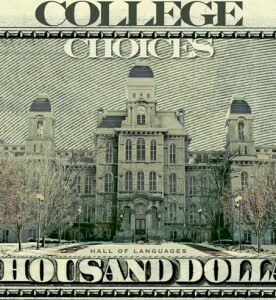 Should You Let Finances Drive Your College Decision? There is a longstanding belief that you should not let financial motives dictate your decision of where to attend school. Traditional thought suggests that more expensive institutions result in better paying jobs, thus negating the added initial costs. Further still, people believe that you should not compromise your college experience just to save money; after all, you’ve got the rest of your life to pay off the debt and going to your dream school is more important than saving money, right? According to some, the answer to that is a resounding “no.” With the job market drying up for college graduates, post-graduation life is less secure than it once was, drawing into question the traditional beliefs about post-secondary education. In addition, a changing job market focused on technology is widening the gap in value between certain degrees, meaning some students are facing the reality that a pricey diploma may not result in the same competitive salaries seen by their peers. Suddenly, financial concerns are a factor that the majority of college-bound students are beginning to take into consideration when determining where (and when) to continue their education. The thought of letting finances drive a college decision, however, is leaving some students worrying that money may be keeping them from pursuing the educational and career path they have always wanted. Perhaps the focus of the argument in favor of prioritizing fiscal considerations when making a college decision has to do with the rising cost of college. The cost of tuition in the United States has risen by an astounding 1,124 percent since 1978, according to Bloomberg BusinessWeek and the Department of Labor. Most students are turning to loans to pay for school. According to the New York Times, students are borrowing about $113 billion per year to attend college, and total student debt topped $1 trillion in 2013. To make matters worse, even as the nation continues to recover from a recession, college graduates are still entering a tough job market. While many will make the case that you shouldn’t go into extra debt just to go to a great school, many more will make the case that you shouldn’t go into any debt to seek higher education at all. Bennett goes on to point out that a college education no longer guarantees you a job over someone without a diploma. While costs shouldn’t necessarily deter a student from pursuing a degree, Bennett urges students to carefully consider their options. A two year degree may be a more affordable and rewarding option for some students, while others may want to look to where they can cut costs at the schools they decide to attend (attending college in-state, for instance, or choosing less expensive housing a meal options). The thought process behind encouraging students to consider finances when making a decision has to do with the ultimate financial reward. Choosing a less-expensive school means less debt, and if you graduate in less debt then chances are you will have greater freedom post-graduation. Will Money Keep You From Pursuing Your Dream? There’s certainly a debate over whether or not a college degree is a significant advantage in the job market these days. Yet there’s still a reason you’re going to college—and there’s still a reason that you’re considering multiple institutions, and have certain colleges penned in as dream schools. Those reasons can transcend financial situations from time to time. If you’re interested in college for more reasons than just future employment, you should think twice before letting finances decide for you. College is a place where you will make lifelong friends, develop new hobbies and interests, and do things you never thought you would. It’s an invaluable experience, and one that should not always be compromised. Furthermore, a good school (or a school specializing in your interest) will give you a more focused, in-depth education. That means that, even if you graduate with a little more debt, you’ll have a better chance of thriving in your job or moving up to a higher level than you would have otherwise had. Despite the threat of debt, data still supports the idea that a college degree leads to increased lifetime earnings, on average, compared with a high school diploma or less. According to the New York Times data from Brookings, “a college graduate is nearly 20 percentage points more likely to be employed than someone with a high school diploma,” and the increase in lifetime earnings with a diploma is 75 percent higher than it was 30 years ago. The expected annual salary for a high-school grad with no degree is expected to be $28,659; meanwhile the expected salary for a college graduate with a bachelor’s is $49,000 and the expected salary for those with an advanced degree is around $87,000. Students shouldn’t feel as though there is one “right” option when it comes to college. In light of a tough economy and rising student loan debt, some students are choosing to go to a vocational school or community college, rather than a traditional university. The job market for mid-level workers is still growing steadily, and these types of schools are great options for students who aren’t sure whether or not they want to go to a university, or who are not comfortable with taking out loans. However, if you want to go to a four year university or a school with high tuition, but feel the need to let financial considerations play a role, don’t panic: you can find a compromise by cutting costs elsewhere and searching for scholarships. If you pick up a part time job during the school year—or a full time job over summer and winter breaks—you can help to both save money and build your network and resume. Ultimately, if you’re considering whether or not college is the right choice for you the current state of student loan debt and the economy should make you carefully weigh your options. It should make you seek out as much financial aid as possible, consider the pros and cons of in-state or public colleges versus private universities, look for plenty of experience or work, and contemplate your return on investment. Being financially-minded and savvy in the face of potential student loan debt is smart—but compromising doesn’t have to mean giving up on your dreams. Today’s guest article comes from Chad Fisher. Always interested in the state of the economy, he has been closely following developing stories on student loan debt. He knows college can be an especially risky investment for students majoring in humanities fields, like English or Education majors. However, by reading up on tips to land a teaching position, these students can find a career that offers both a competitive salary and the reward of reaching a goal.